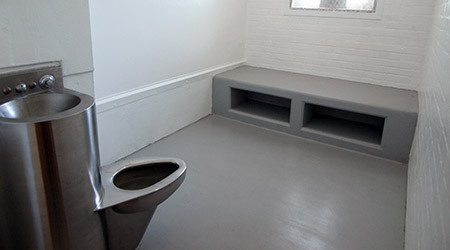 More correctional facilities are selecting environmentally preferable cleaning solutions that have removed volatile organic compounds (VOCs), according to an article on the Corrections.com website. When most of the standards for green cleaning were created, and a product was certified as having few if any VOCs, what they meant is few or no VOCS that could harm the ozone layer covering the earth, the article said. But products may still have VOCs that can become airborne and negatively impact the health of the person using the cleaning solution — as well as staff and inmates in the facility. Correctional managers can help address this situation by looking for products that have dual certification. This means that a cleaning solution can been certified once by GreenSeal, for instance, indicating that it has been manufactured with ingredients proven to have a reduced impact on the environment. But then the product is certified again, this time by an organization such as GREENGUARD, which puts a much greater emphasis on the chemical emissions released by a cleaning solution. According to the article, it appears that at least some cleaning chemical manufacturers are adopting this dual certification approach. It is their belief that as specialization takes over the green certification industry, end-users will also look more specifically for cleaning products that address specific issues, such as airborne VOCs and emissions. Click here to read this full article.